Wearing copper bracelets for medicinal benefits has a long history, all the way back to ancient Egypt, reports the "Gale Encyclopedia of Alternative Medicine." The way copper helps reduce joint pain is not fully understood. Copper is essential for the function of a number of antioxidant enzymes, including powerful superoxide dismutase (SOD). It is also involved in vitamin C metabolism and the synthesis of collagen, a structural protein in bones and joints. There is no recommended daily allowance for copper and deficiency is thought to be common, as up to 70 per cent of dietary intake (from seafood, nuts, pulses, wholegrains and vegetables grown in copper-rich soil) is not absorbed in the bowel. Lack of copper reduces activity of SOD and may contribute to the development of inflammatory diseases. Trace amounts of copper are absorbed through the skin, and in one study of 240 people with rheumatoid arthritis, those wearing copper bracelets had a statistically significant improvement compared with those wearing a placebo. Each copper bracelet lost an average 13mg of copper during the trial. Another theory is that copper bracelets work through a process known as iontophoresis, in which copper leaches excess sulphates from the body, where they are deposited as a blue-green discolouration on the skin. 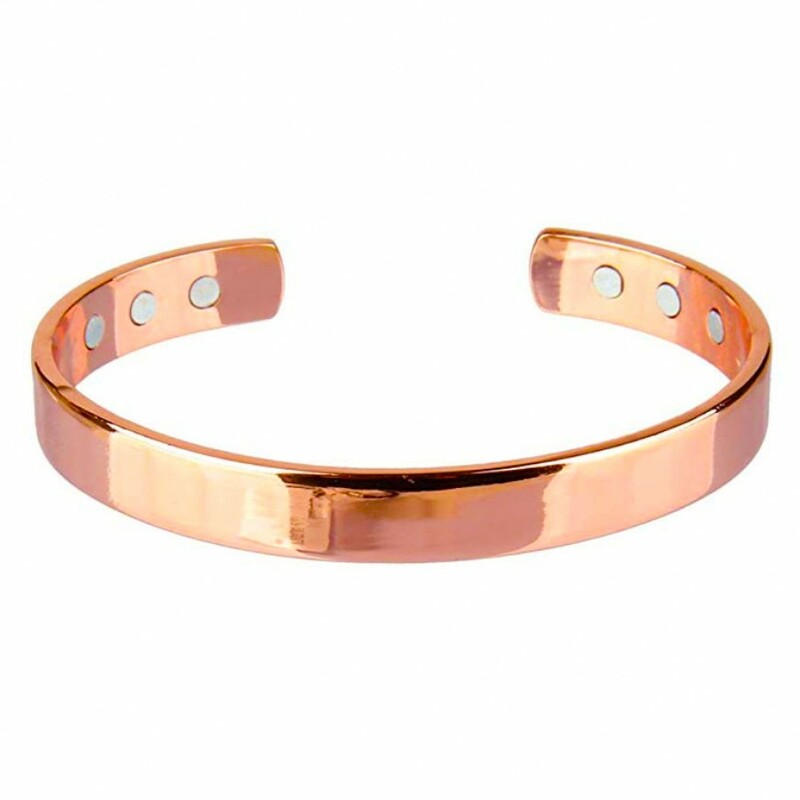 The efficacy of the bracelets is thought to depend on the level of copper in your body. If deficient, you may benefit. 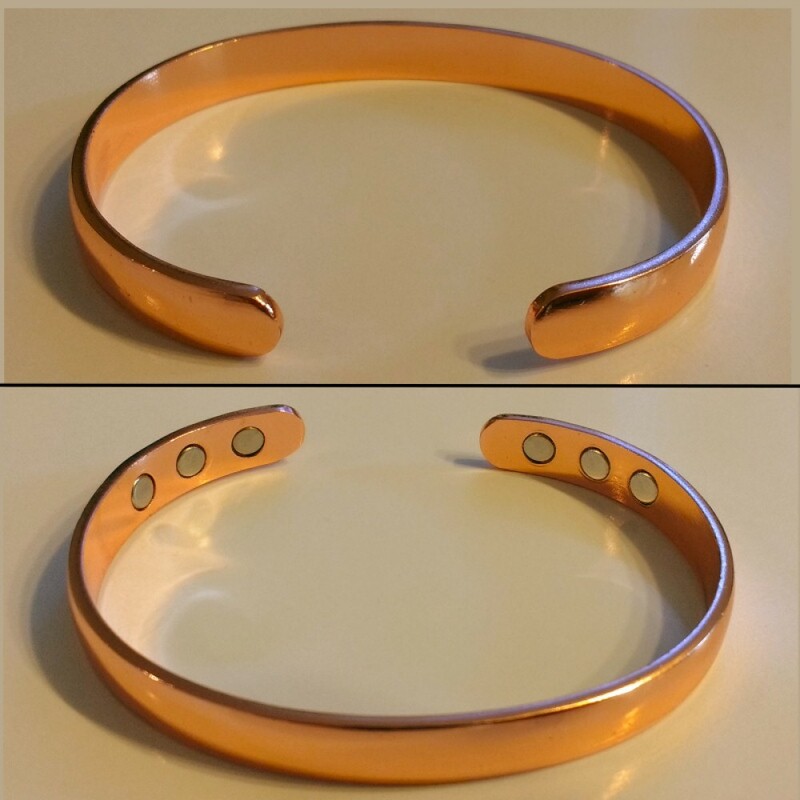 Pure copper bracelets and bracelets combining copper with magnets are definately worth trying for pain relief. 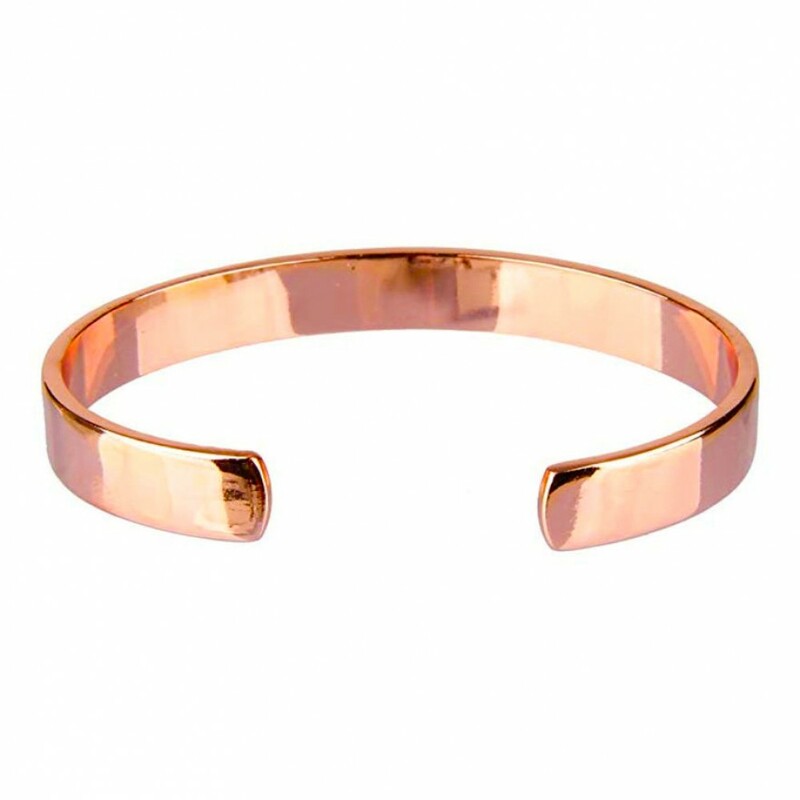 There are thousands of reported cases of benefits from wearing copper bracelets.